This is my first attempt at a GeekList, so please be gentle. FULL DISCLOSURE: I am already invested heavily (190 pounds) in this game. I do NOT work for Devil Pig, or have any professional or personal relationship with their company or anyone who works there. For those of you not yet in the know, Heroes of Normandie is a two-player boardgame of squad- and platoon-level tactical combat in the towns and hedgerows of Normandy following D-Day. 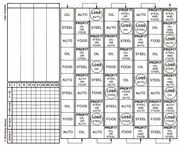 The starting set with no frills will include dice, two decks of action cards, six double-sided playing boards, and six punch-boards full of the units, heroes, gear, and extras for both armies. It's fully funded on Kickstarter, so if you back now, you are definitely going to get your game, plus special Kickstarter extras, including a platoon of Rangers and some extra boards. REASON ONE: THESE GUYS ARE PROFESSIONALS. The gentlemen at Devil Pig aren't exactly amateurs at the game design and production business. Back in 2007, they produced this under-rated sci-fi game. 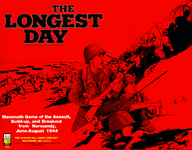 It's the spiritual ancestor of Heroes of Normandie, and if you read the reviews and session reports here on the Geek, you'll get an excellent idea what you're getting. Heroes will be a refined, amped-up modern version of Frontiers, with a LOT more pieces and options. If you back the project before it ends on April 25th, for an initial offering of 90 pounds, plus up to 20 pounds shipping if you live in the States, you will get all of the considerable stretch goals. 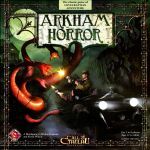 These include extra boards, cards, more units and terrain punch boards, and two very interesting optional extras: a Cthulhu set and a set based on Dust Tactics. (More on these later.) Since each punchboard basically represents a type of platoon for a side (roughly), you will end up with seven seperate platoons to use in your games, plus a high command set, plus a smoke and arty set, plus a set of beach tiles so you can reenact Saving Private Ryan. So, for about $150, you're going to be playing around with your options for months before you have to think about buying any of the scenario packs which are already going to be available. $150 is a lot of money, yes. But, if you wanted to buy Tide of Iron right now, you'd be paying at least that much to get all the stuff. Which leads me to my next point! I love miniatures games. I have played a bunch, including fifteen mil World War Two (again, more on that later) and everyone's favorite money-making exercise, WH40K. It can be a real pain lugging sixty pounds' worth of terrain and mini cases to my FLGS to set up and play a game. If you buy Heroes, you will have a full World War Two tactical game you can take with you, set up on a tabletop in twenty minutes, and play two or three times over in the time you'd still be setting up forces and arguing over force lists. And then you can pack it all back into the box and carry it home without starting a workman's comp claim. I'm a fan of complex and fully realized simulation as much as the next guy. I still have my Squad Leader stuff, and I would love to play it more often. The problem is, the number of us old grognards still wandering the wastelands of gaming decreases further every day, and trying to drag new people into the hobby is getting more challenging as video games and Ameritrash become the wave of the future. It takes so long to teach someone how to play some games, you'll never find anyone to play them with you. Heroes has light rules which are still tactically deep, and all of the information you need to play is right there on the pieces. You can see at a glance what the movement cost to head through that hedgerow will be; you can tell your unit's special abilities and armor penetration at a glance. And the rules, while mechanically simple, are very robust, and allow for a myriad of tactical decisions. I taught my eight-year-old son the demo game in five minutes, and we played three games in thirty minutes. (The demo is very limited, just to show you how the main game mechanics work. A full game of Heroes will take longer to play, and be much deeper than what you see in the demo.) My son now tracks the Kickstarter with me every day. My fifteen mil 3rd Fallschirm army is fairly large. It has dozens of bases of troops, plus 88s and Tigers in support, as well as flak trucks and special weapons options. I painted and based the entire thing myself overt the course of weeks, and I am man enough to admit that it came out looking like it was prepared by a blind baboon on crack. I have no eye for detail, even when I try my best, and my hands shake like you wouldn't believe. So you can imagine how excited I was by the idea there would be a World War Two 15mil scale wargame where I didn't have to paint or base anything. And if you go to the Kickstarter site, you'll see that the artwork on Heroes is quite simply phenomenal. I have to say, overall, the geek-thrill of handling all those cool pieces as they rush through the brush toward the sound of the guns is half the appeal for me. REASON SIX: TRUE TACTICAL SCALE. Let's face it; there are a bunch of games out there which claim to be tactical in nature, but end up either adding in too many non-tactical decisions/options, or creep upward in scale until your "tactical" game is involving two or three companies of troops fighting over buildings which are represented by one-space blocks on a board. Heroes, by focusing down to the platoon level, and by making the hero pieces and the individual weapons important, has firmly set itself in a truly tactical scale from the start. You will be able to imagine the situation as Clint (yes, he's an American hero) stalks down the street toward the enemy MG nest in that bomb-damaged church, his rifle teams supressive-firing their hearts out to keep Ludwig the German sniper pinned down. One of the best things about all my favorite games is the sheer number of missions and scenarios, and the ability to replay them over and over again with different forces or set-ups. Heroes' platoon system allows you to take a basic template for your side, and then plug in various options until you reach the point limit for the scenario. As an example, if I bring an American rifle platoon to a battle, I may decide on a Sherman tank as a support option, or perhaps I would rather bring another set of troops. I can have extra ammo, or maybe hand grenades. Or maybe I'm trying to prep for enemy armor, and I want to swap one of my starting rifle squads out for a bazooka team. Inside the point limit set by the players, you can pick and choose as you wish. Since, at the 90-pound pledge level, you will have five American and four German platoons to choose from, and each comes with a full range of options, there are, as of right now, already over a thousand ways a scenario's forces can be arranged. REASON EIGHT: MORE PLEDGES---> MORE GOODIES. Okay, so now I may be pointing out my own bias. How many games have you bought from big name production companies where the product promised was sloppy, poorly produced, not supported, or infinitely on a list of "upcoming" products which never saw the light of day? Did those companies seem very interested in what you had to say? Devil Pig is, at its heart, two guys from France who have a product they obviously believe in very strongly. By buying into the Kickstarter, you are supporting small businessmen, and if you want to have input in their future design choices, or the direction of future expansions, you can type a message directly to the owners and producers of the game. And you can see exactly what you're going to get, and know exactly how far your money will go. Even if, through a catastrophic brie-related accident, both Clem and Yann are consigned to the hallowed halls of Great Game Designers Tragically Bried-To-Death Young, you will still have gotten a complete and fully playable game with a crap-ton of extras just for paying in now. REASON TEN: ACTHUNG CTHULHU AND DUST TACTICS SETS. Zombies and steam walkers in World War Two? You had me at Cthulhu. UPDATE: For those of you who have mentioned that having a steampunk or zombie WW2 theme would put you off this game, let me make clear that the Achtung Cthulhu and Dust Tactics punchboards are ENTIRELY OPTIONAL FUN EXTRAS. They are provided for Kickstarter backers, and are not required in any way to play the main game. You don't pay extra for them; they are stretch goals only. 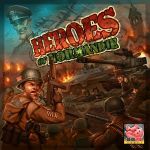 Heroes of Normandie is a World War Two game through and through.